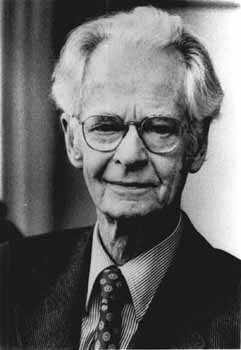 Burrhus Frederic Skinner (March 20, 1904 Ð August 18, 1990) was an American psychologist, author, inventor, social philosopher, and poet. He was the Edgar Pierce Professor of Psychology at Harvard University from 1958 until his retirement in 1974. Skinner invented the operant conditioning chamber, innovated his own philosophy of science called Radical Behaviorism, and founded his own school of experimental research psychology - the experimental analysis of behavior. His analysis of human behavior culminated in his work Verbal Behavior, which has recently seen enormous increase in interest experimentally and in applied settings. Skinner discovered and advanced the rate of response as a dependent variable in psychological research. He invented the cumulative recorder to measure rate of responding as part of his highly influential work on schedules of reinforcement. In a June, 2002 survey, Skinner was listed as the most influential psychologist of the 20th century. He was a prolific author who published 21 books and 180 articles. Reinforcement processes were emphasized by Skinner, and were seen as primary in the shaping of behavior. A common misconception is that negative reinforcement is synonymous with punishment. This misconception is rather pervasive, and is commonly found in even scholarly accounts of Skinner and his contributions. To be clear, while positive reinforcement is the strengthening of behavior by the application of some event (e.g., praise after some behavior is performed), negative reinforcement is the strengthening of behavior by the removal or avoidance of some aversive event (e.g., opening and raising an umbrella over your head on a rainy day is reinforced by the cessation of rain falling on you). Both types of reinforcement strengthen behavior, or increase the probability of a behavior reoccurring; the difference is in whether the reinforcing event is something applied (positive reinforcement) or something removed or avoided (negative reinforcement). Punishment and extinction have the effect of weakening behavior, or decreasing the future probability of a behavior's occurrence, by the application of an aversive stimulus/event (positive punishment or punishment by contingent stimulation), removal of a desirable stimulus (negative punishment or punishment by contingent withdrawal), or the absence of a rewarding stimulus, which causes the behavior to stop (extinction). Skinner also sought to understand the application of his theory in the broadest behavioral context as it applies to living organisms, namely natural selection.